First, state politicians passed a completely ineffective medical marijuana law that unsurprisingly had zero takers. Then a year later when a legitimate medical marijuana program became state law, the commission in charge of writing the policy dragged its feet for months. After going well beyond the allotted time frame for which to craft the regulations of the program, the newly created commission began to accept applications. But as had been the case for the last three years, the commission delayed the process yet again by drastically underestimating the length of time it would take to review the applications. Finally, after two years the commission began awarding licenses to legally grow pot to the 15 (a completely arbitrary number) most qualified candidates. With the licenses issued it was finally time to get to work and plant the first seeds that would ultimately be used to legally treat patients with cannabis for the first time in Maryland history. This was exciting stuff indeed, but lest the reader think that this story has a happy ending we would remind you that nothing related to medical marijuana has come easy in our great state, and awarding the licenses now seems like the beginning of a long battle rather than the end of one. The medical marijuana commission has taken a ton of heat for not awarding grow licenses to minority owned candidates. This issue has grabbed most of the headlines and has minority leaders up in arms about the process, but it is not the commission’s only highly criticized move of the summer. According to public records the five-member commission chose to award licenses to the top 15 rated candidates, as rated by an independent application reviewer, toward the end of July. Then a week later the members went back on their decision and dropped the last two to make the cut in favor of lower ranked candidates. Apparently one commissioner, a Prince George’s County law enforcement officer, persuaded the other four members to award a license to a PG County applicant instead of a Washington County operation that was ranked higher and had already been selected. A Frederick County applicant was also dropped in favor of a lower ranked Worcester County operation. The dropped applicants were outraged when they caught wind of this change of heart, and rightly so. While state regulators included geographical diversity as a key factor in awarding the licenses it was never intended to shut out otherwise qualified candidates. But this is exactly what happened when less qualified applicants received licenses solely based on their location. The point of hiring an independent application evaluator was to take any sort of subjectivity and bias out of the process. But it’s easy to see that objectivity goes out the window when a commissioner who has spent his career working in Prince George’s County convinces the other members to select a less qualified candidate from his home county. Even if there were only good intentions the sudden change of heart gives off a strong feeling of impropriety, which is something the commission can ill afford at this time. The two applicants that lost their licenses in the final hour now stand to lose millions in potential profits, and could be forced to take their fight to court. The commission promised a fair and transparent process, but it does not appear that they delivered on this promise. Perhaps their biggest mistake was the decision to limit the number of grow licenses to 15 in the first place. Why the limit? The only real way to guarantee fairness is to award licenses to all qualified candidates. A cap of 15 is an unnecessary restriction on the market that only encourages foul play in trying to secure the coveted licenses. 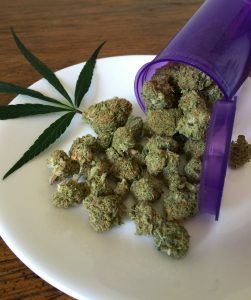 There is no logical reason for the cap other than to go along with the trend of taking baby steps with all things related to marijuana policy. Litigation may end up forcing more licenses to be made available, which sadly could have been avoided with a little foresight. Benjamin Herbst is a criminal defense lawyer that handles cases in Prince George’s County, Worcester County, Frederick County and all other jurisdictions in Maryland. Contact Benjamin for a free consultation about your case anytime. Last-minute change in who can grow medical pot in Maryland spurs complaints, washingtonpost.com.